A New Jersey lawmaker is calling for a legislative hearing a day after an I-Team investigation exposed a lack of required highway signs in the state. Pei-Sze Cheng reports. A New Jersey lawmaker is calling for a legislative hearing a day after an I-Team investigation exposed a lack of required highway signs in the state. “I was outraged,” said Assemblywoman Valerie Huttle, deputy speaker of the New Jersey legislature and vice chair of the Assembly transportation committee. “This is basic maintenance, it doesn’t cost a lot of money and it should be corrected,” she said. On Tuesday, the I-Team highlighted the lack of signage on major highways in New Jersey, like on Route 4 and Route 46. 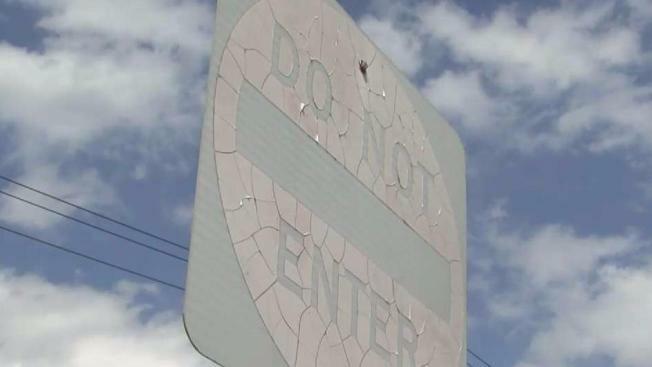 An NBC 4 New York I-Team investigation found dozens of traffic signs – one way, do not enter and wrong way – missing on ramps and intersections of Routes 4 and 46, both of which have had deadly wrong-way crashes in recent years. Pei-Sze Cheng reports. “Signage, to me, is the easiest first step in avoiding accidents and crashes,” Huttle said. “One life, if we could save one life that matters,” Huttle said. “We need to find a solution and we need to find a partnership between law enforcement and the DOT." In addition to the hearing, Huttle is also in favor of a statewide study, to learn where wrong-way crashes are happening and how safety can be improved.